NDP House leader Nathan Cullen said today the government is afraid of Canadians finding out what's in the budget implementation bill after House leader Peter Van Loan said he's refusing to split the bill to make it easier to study. Government House leader Peter Van Loan is refusing to split a on 400-page budget implementation bill to make it easier to study, following talks with NDP House leader Nathan Cullen. The Conservative government is afraid of Canadians finding out what's in the budget implementation bill, NDP House leader Nathan Cullen said today after the government refused to split the bill to make it easier to study. Government House leader Peter Van Loan, speaking after more than a day of talks with Cullen, said the NDP will oppose the 400-page bill anyway, so the Conservatives wouldn't split the bill for committee study. In announcing the government won't compromise, Van Loan had said, "Canadians expect their government to take action. Defence Minister Peter MacKay appears before the Committee of the Whole — that is, in the House of Commons before all interested MPs — to defend main spending estimates for his department. MacKay is one of two ministers selected by opposition MPs to appear before the Committee of the Whole, along with Environment Minister Peter Kent. Kady O'Malley is liveblogging the proceedings, which could run as late as nearly midnight Wednesday, here or at the bottom of this story. "The NDP came to a decision to oppose this budget within minutes of its release. They now propose to change one budget bill they oppose into seven budget bills, all of which they will continue to oppose." Cullen said it wasn't about whether the New Democrats liked the bill. "This is a bad piece of legislation both in form and substance. The details in this bill needed work," he said, adding the government is already amending its own bill. "We think that there were things that could be made better about this bad piece of legislation." The negotiations were inconsistent, Cullen said, suggesting there may have been an internal battle over whether to be cooperative. "They obviously are afraid of Canadians understanding what’s here," he said. "On this particular front, this day, this government has chosen pride over reason. And for us, this is incredibly disappointing." The budget bill – which includes reforms to environmental regulations, fisheries management and immigration law, among other things – has been widely condemned by opposition parties, environmentalists and other advocacy groups. They maintain the government is trying to sneak through major, contentious, changes to non-budgetary statutes by stuffing them in the budget bill, where they will receive little separate scrutiny. Should environmental law changes be pulled out of bill C-38? Take our survey. Asked why different committees can't look at parts of the bill that touch their subject areas, Van Loan insisted that's what the government is doing by separating out the environmental regulations and sending them to a subcommittee of the finance committee. Cullen said the bill is too enormous for one committee to review it properly. "There are members sitting ... on the Conservative benches that do not yet understand the impacts of this bill. 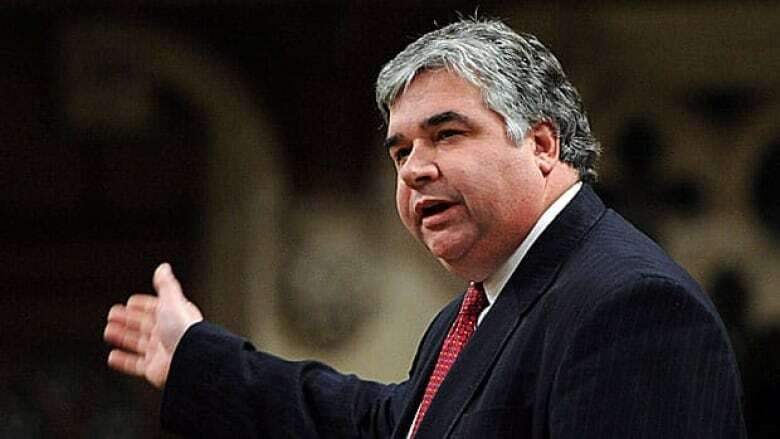 To say that a subcommittee of a House of Commons committee is enough to consider some of the most draconian changes to environmental law in Canadian history is absolutely wrong and [an] offence to democracy." NDP Leader Tom Mulcair warned Tuesday that the NDP has other "legal" and parliamentary tools at its disposal that it could use to hold up the massive bill until all its various parts have been adequately studied. Liberal House leader Marc Garneau said there are parliamentary procedural tools that his party is also willing to use but no legal tools that he's aware of. The Liberals also favour splitting the bill. Speaking after Cullen, Garneau said the NDP showed they were naïve in thinking they could work with the government. "I hate to say I told you so," he said. "We knew ahead of time that this was going to happen this way. It’s a slap in the face to the Official Opposition." Mobile users, follow the liveblog here. Should environmental law changes be pulled out of bill C-38?